Product #21032 | SKU 016917 | 0.0 (no ratings yet) Thanks for your rating! The ConnBox simply connects between the microphone and input device. Being that the ConnBox mounts to the Suspension system, the microphone cable is given the necessary slack needed to achieve true noise free isolation. This ConnBox features a hardwired output cable (XLR 3-pin or 5-pin connection depending on model) and an input connector that is compatible with the Sennheiser MZL series remote cables, that are used with the MKH8000 microphone. 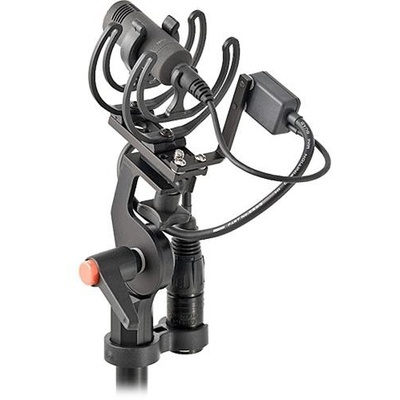 This ConnBox features a hardwired output cable (XLR 3-pin or 5-pin connection depending on model) and an input connector that is compatible with the Sennheiser MZL series remote cables, that are used with the MKH8000 microphone.